2014 is going to be a great year for literature in my life. I can just feel it–I’m going to find several new favorite books and authors this year. 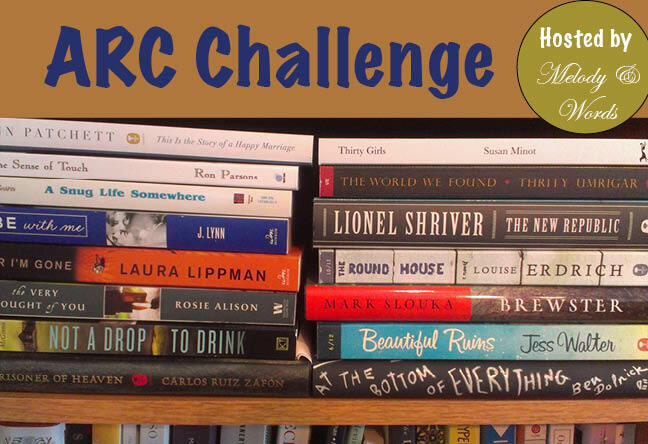 To celebrate, I’m creating two new reading challenges: The NA/YA Challenge and the ARC Challenge! I’m also returning to a favorite, Bookshelf ROWDOWN. In all, I plan to read 50 or more books this year. It’s not every day that a new literary genre is created. And it’s even more rare for the change to come outside of the realm of traditional publishing. Some people in the book world have been resistant to new adult. But if we have children’s books, middle grade, young adult—all speaking to certain ages or grade levels—why not have a genre that speaks specifically to that feeling of realizing you’re now an adult–and the accompanying panic/pain/delight that ensues? It’s a subject that interests me endlessly, as I’m most preoccupied in my reading and writing with understanding people, including yourself. Plus, I’m the target audience of new adult, so I’d like to see what it’s all about! I’m particularly curious to compare new adult titles to young adult and adult. And so, this year I plan to read 15 new adult or young adult books. OK, here’s where I admit that I’m a bad book blogger sometimes. I occasionally receive review copies of books, and I have every intention to read and review them quickly. But sometimes life gets in the way, and the books languish on my shelves. It’s not fair to publishers and authors, and I want to change my ways! So I’m vowing to read 12 review copies this year. I hope to surpass this goal by quite a bit, but I want to be realistic. The rules of Bookshelf ROWDOWN are simple: read physical copies of books that you own. (I don’t count ebooks and review copies in this challenge, although you’re welcome to.) The point of this challenge is to read the books you’ve bought or been given that, for some reason, you’ve never gotten around to reading. I really enjoyed this challenge last year; I read 22 of my goal of 25 books. So I’m going to shoot for 25 again! Of course, once you’ve read some of the books, you may also release them back into the world, either by lending them to your friends or donating them to a local library or thrift shop. I, for one, am always running out of room on my bookshelves, and this challenge helps me winnow out books that I don’t need to keep. Next to each book, I’ll mark those I plan to keep in my permanent collection. If I don’t mark a title, let me know if you’d like the book! In all, I hope to read 50 books in 2014. Although I didn’t reach the same goal of last year–I know, what kind of book blogger am I? !–I’m trying again. I love tracking my progress using the 2014 Goodreads Reading Challenge; add me as a friend and follow my progress! I miss reading as much as I used to, and I’m going to make 2014 the year of reading whatever I want. As I read throughout the year, I’ll come back to this post and update it on my progress. Here’s to another wonderful year in books! I so need to do the bookshelf rowdown challenge- Sooo many unread books on mine. What a great idea! I think 50 books is a good number. I will try for it as well.